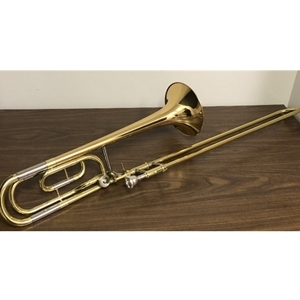 This used Bach Stradivarius pro model trombone with F attachment is in excellent condition. Traditional wrap; .525" bore, 7.5-inch bell. Instrument serial #123277. Bach 7C mouthpiece and case included.